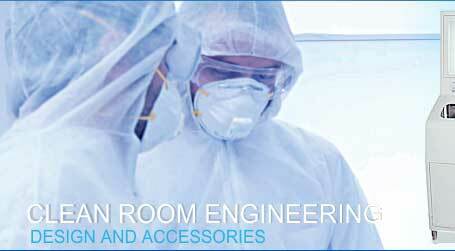 Clean Room Expert - Air System Enterprise was founded in 1985, we have taking sterile, clean room engineering, equipments and accessories as the main operation principle and goal. 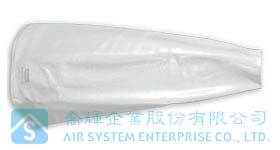 Ever since the PIC/S GMP has been implemented, Air System is trying harder to devote every possible resource to take part in developing the new technology every year, which is to assist our customers by reaching the international quality standard. We feel grateful to those Pharmaceutical companies who support us continuously, so we get to have the chance to accumulate the experience for the better service. Air System established the manufactory sites in Yang Mei and Tainan, which is to satisfy every inquiry to our customers with comprehensive services from: develop- >design->manufacture->implement->calibration. We are looking forward to have another 30 years in cooperating with our customers and create more success future. 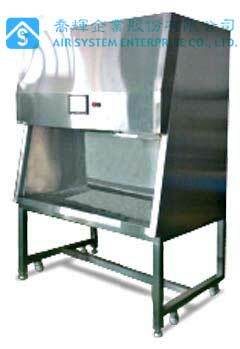 The sampling booth compliances to the PIC/S and GMP standard, it is used to prevent the cross contamination while dispensing/weighing the powder sample. 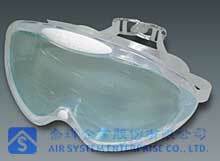 With its negative pressure design, the air exhaust system is unnecessary to be equipped additionally. 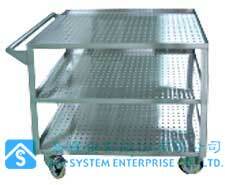 The cart is to maintain the aseptic status from oven to filling facility while transporting. Open RABS and Close RABS are two types of facility which compliance to European standard of separating devices and operators for contamination control purpose. 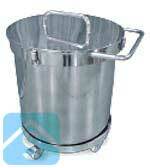 It is required to execute the liquid and powder filling in RABS. 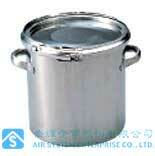 To combine the aseptic transfer and join can achieve the idealist aseptic process. with GMP management is able to be designed on request. 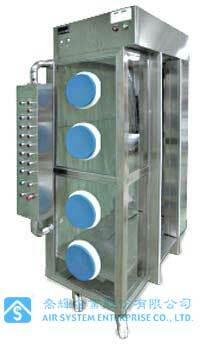 The facility is designed to utilize the fine flow meter to control Nitrogen effectively, so the oxygen level and humidity can reach the operation requirement. 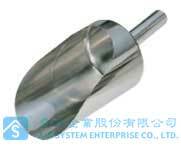 Size, spec., material, and function are customized design. 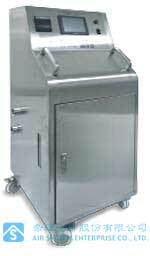 The negative pressure glove box is designed to avoid the dispensing operation from cross contamination. 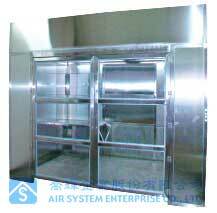 The negative pressure air will be reversed back to aseptic room by applying built in HEPA filter housing to minimize the energy lost when exhausting. 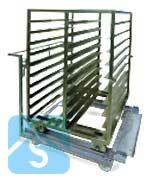 Size, spec., material, and function are customized design. 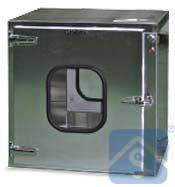 The negative pressure glove box is designed for using in the smaller space. 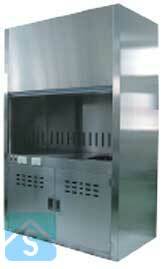 For its isolation advantage that the cross contamination is controlled effectively. 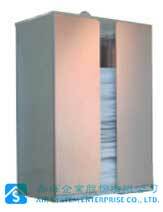 Size, spec, material and function are customized design. 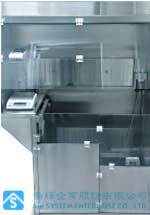 Small glove box is designed to be used in the laboratory or for micro scale dispensing and sampling. 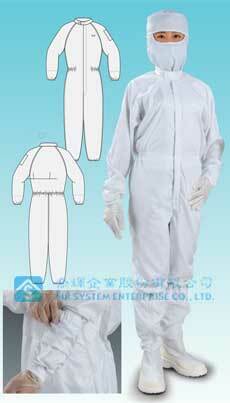 The negative pressure is advantage to protect the operator effectively. 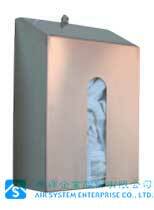 In order to exhaust directly in the room, it is recommended to install the HEPA filter housing. 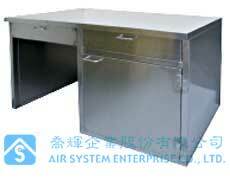 Size, spec., material, and function are customized design. 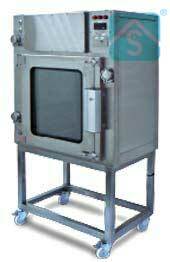 It is confirmed that VHP sterilizer has efficient sterilize function, non-toxic and harmless either to working staff or to environment. 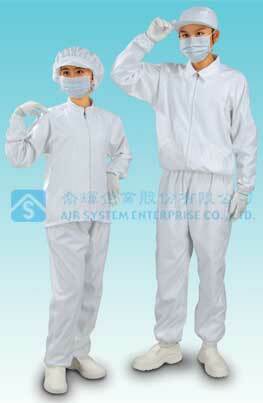 Applicable for the small sterile room, glove box, sterile pass box and sterile isolator…etc. 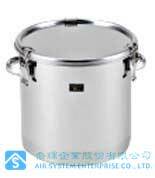 The advantages are: Strong capability of sterilizing for bacillus, decomposed to steam and oxygen which is non-toxic and no residue concern. 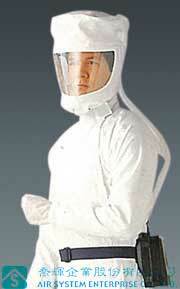 Operating efficiently and low cost. 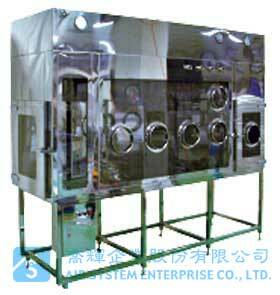 It is considered to execute sterile process more precisely by using with human machine interface and record. 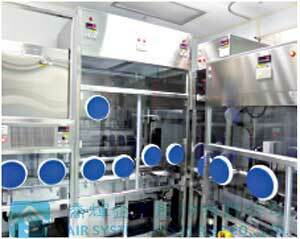 For the sterile process like glove box or isolator system, it requires to be done via sterile gloves. 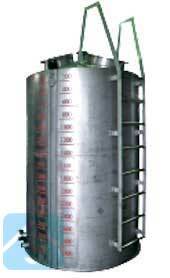 Therefore the onine inspection of breakage,leakage before the process is very important. 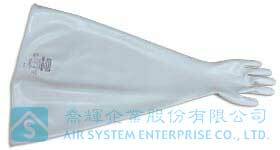 To utilize the air pressure pump, and set the pressure, time and qualified leakage rate via human machine interface. 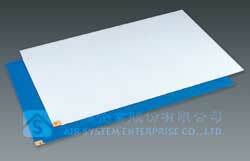 The inspection result could be stored and printed. 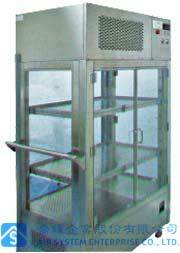 Vertical/Horizontal Air Flow Cart is designed to prevent the cross contamination while aseptic transferring the tools between aseptic chamber and filling facility. Configuring with aseptic connecting system can make sure to compliance with PIC/S GMP request. 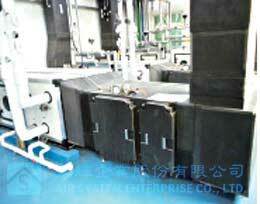 The Vertical air flow lifting joint system is designed to connect the clean room cart and RABS. 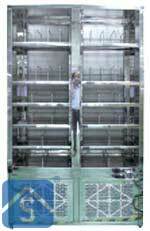 By setting the PLC program, the lifting table is adjustable to conform the height of clean room cart, and once jointed, it can also be moved up and down to match the height of filling platform. 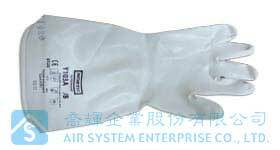 In addition to against the contamination effectively, it is required to work through the glove ports in whole process. 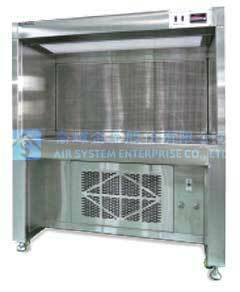 Air System Biological safety cabinet (BSF) is certified by SGS (NSF-49) in Taiwan, which compiles to the international standard.Class II – A2 type is the most common model functioning safety protection for general requirement. With its "Human-MachineInterface" designed by Air System, makes it more easy and clear to display or record the data of wind velocity(optional), counter, differential pressure, sash opening height and alarm function for filter pressure difference. 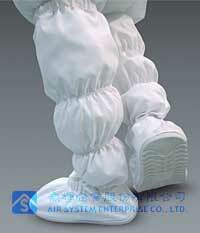 The Bag in & bag out filter unit is designed to protect facility personnel and the general public from hazardous materials. 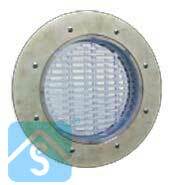 It is used for filtering the airborne particle from dispensing hazardous material and preventing the material attach to the body when changing the filter. 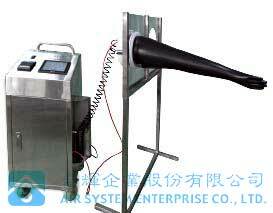 (Size, Spec, Wind Velocity and Function are customized design). 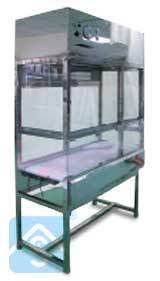 The sterile clothes cabinet is made of SS304, with its horizontal air flow design, the cabinet interior can reach class A standard. 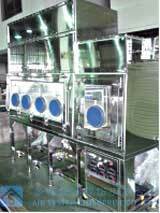 For the regular or daily validation management, such as alarm type electrical D.P.G, PAO injection port, test port, and differential pressure calibration port are all applicable to the device. 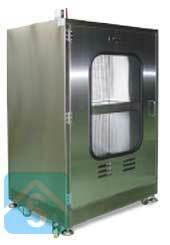 It is used to storage autoclaved disinfect clothes and accessories. 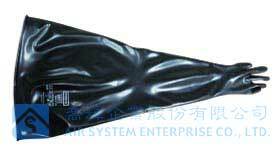 (Size, Spec, Wind Velocity and Function are customized design). 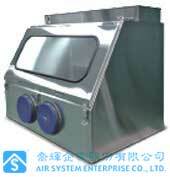 AV-120 is designed to observe the direction of air flow. 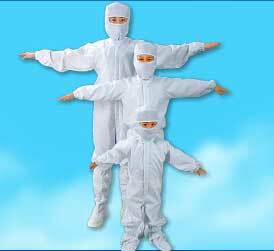 The atomized fog is generated by pure water and particle size is 0.2um. 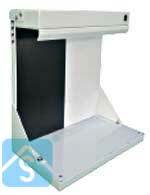 This is a must equipment for 3Q validation in cooperate with dynamic photograph. 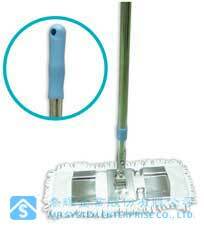 The features are: size small and delicate, high density smoke, low cost, easy to use and no chemical residue. 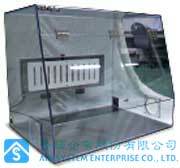 CTL-01 is designed to be used in aseptic room, the panel is covered by thin membrane features dust free and easy clean. 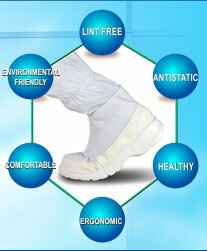 This is the ideal phone for used in aseptic room to contact externally. 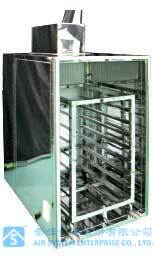 SPK-50 speaker is installed on the partition between two zones for operators to communicate directly. 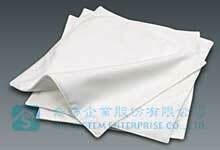 The external material is SS304, removable PVC cover features easy clean. 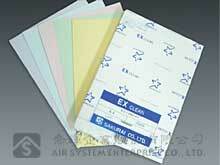 Sealed speaker membrane can also avoid the cross contamination.